I recently had lunch with a good friend who is a senior internal legal counsel for a multinational company. He asked if a beneficiary of a will can also be executor or trustee. His understanding was that they could not, but in fact the answer is yes, they can. The truth is, it’s a completely different matter answering real questions posed by clients on the practical side of will writing or estate planning. Real life doesn’t follow a template. That’s why I thought it might be handy to have a list of questions that are frequently posed to me by friends and clients. These are not intended to be technical legal questions and answers. Rather, they are intended to be simple and easy to understand. 1. Can a beneficiary be executor and trustee? There is no reason why a beneficiary cannot also be executor and trustee. 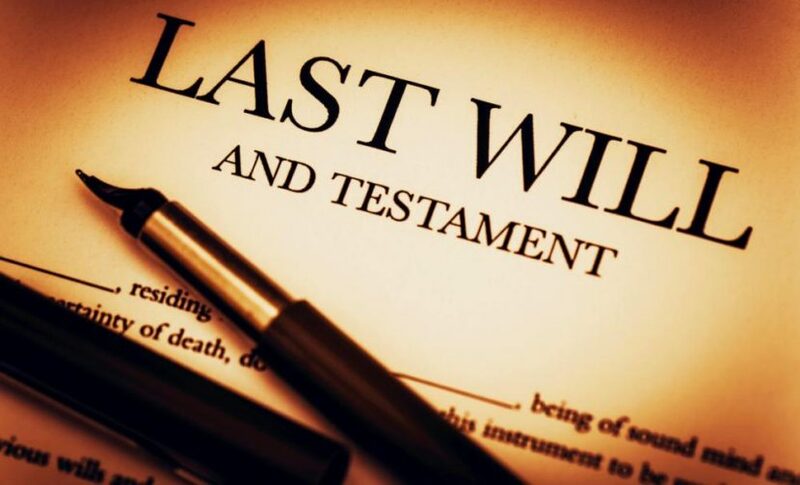 However, beneficiaries or their spouses cannot be witnesses to a will. 2. When should I use a professional trustee? At one of my recent wills seminars, I mentioned that some will writing companies may offer to appoint themselves as the executor and trustee of a will. Professional trustees often charge a percentage of the value of the estate for their services. Do be mindful of this. It is often more practical for the beneficiary to be the executor of the will. This will save your estate some costs in the future. As an illustration, if an executor/trustee charges 5% of the estate value (and you should verify if this is on the gross or net value!) and the estate is valued at RM1,000,000/-, their fees would be RM50,000/-! Please note that I am not advocating the use of a beneficiary as executor and trustee in all situations. There is certainly a role for professional trustees, especially when there is likely to be a dispute. Using a professional executor/trustee is a way of retaining some independence over the executor and trustee’s role. 3. Without a will, could the administrator sell my house or apartment? Section 60 of the Probate and Administration Act 1959 requires the administrator to obtain the approval of the court before he can sell (or lease for over five years) immovable property. So if you don’t have a will, the process may be delayed and end up costing more money. 4. Why should I have a will? to ensure your assets are distributed to your loved ones. Without a will, disputes can arise as to who is entitled to what assets and/or who should take the role of administrator. Furthermore, there is no right of sale for a property, so a court order needs to be obtained before that can happen. In addition, your assets are distributed in accordance with the Distribution Act 1958. This Act only acknowledges legitimate spouses and children. If you never married your lifelong partner or had children out of wedlock, they won’t be provided for. To further illustrate this, if you are a young man who is married with children, your parents are entitled to 25% of your assets should you pass away. And if your parents don’t have a will, it will be your siblings who finally end up with part of that 25%. I hope the above information has helped to clear up some of the ‘myths’ related to will writing! Do drop me a comment to let me know your thoughts. If you have any questions. I’d love to hear from you! My husband and I are wanting to rewrite our will to ensure our children and belongings are taken care of in case of an accident. I agree that it is important to have a will because I want our money to go to all of our children equally and as easy as possible in the case that we pass away. I will be sure to hire a professional to discuss who should be beneficiaries and how to equally distribute all of our assets when rewriting our will.